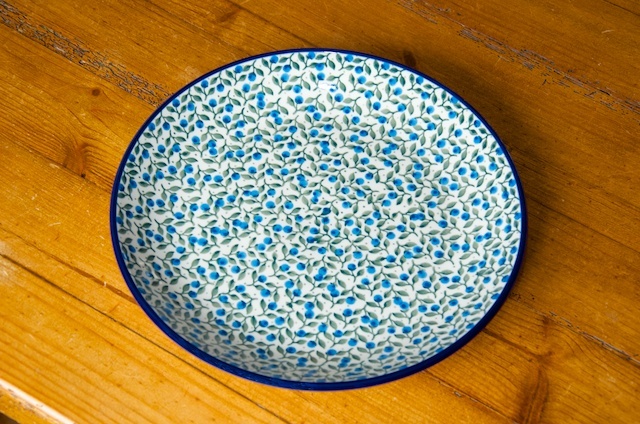 Polish Stoneware Pottery Blueberry Leaf Dinner Plate by Ceramika Artystyczna. Dimensions 26.5 cm diameter. 3.5cm high at edge. Can also be hung on the wall.